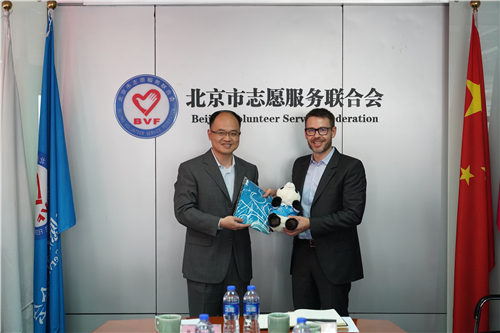 On 18th April, Mr. Cédric Daetwyler, Head of Engagement at the International Olympic Committee (IOC) visited Beijing Volunteer Service Federation, together with Mr. Chang Yu, Chief of Media and Communication Department at Beijing Organizing Committee for the 2022 Olympic and Paralympic Winter Games and other delegates from the department. Mr. Xiong Zhuo, Secretary-General of Beijing Youth League, Mr. Li Jian and Mao Xiaogang, Deputy Secretary of Beijing Youth League and cadres from BVF attended the panel discussion. 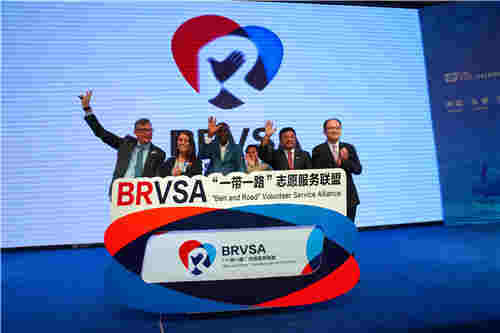 The delegation first explored the Beijing volunteer service culture exhibition, and gained a thorough understanding on the working model of BVF to support the 2008 Beijing Olympic Games, as well as the performance of Beijing volunteers at London, Sochi, Rio de Janeiro and Pyeongchang. 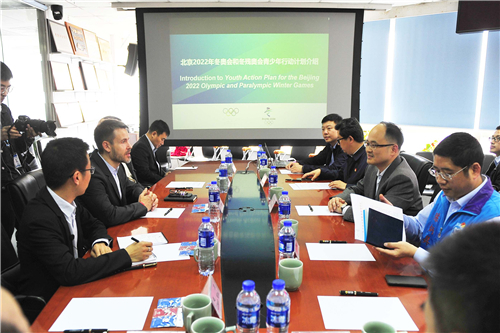 Mr. Cédric Daetwyler was impressed by the volunteer service and outcomes led by Beijing Youth League, and commented that the Beijing Olympic volunteer service model could be shared among other hosting countries of Olympic Games. 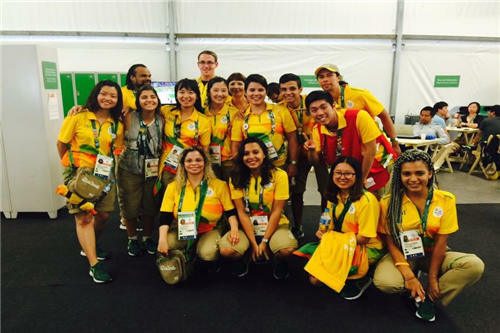 The delegation hopes that outcomes and experience from Beijing Olympic volunteer service could be well applied to promote public participation of Olympic volunteers. During the panel discussion, Mr. Mao Xiaogang presented the Youth Action Plan for the Beijing 2022 Olympic and Paralympic Winter Games with detailed introduction on the working out of Youth Action Plan, the work carried out for the plan and future moves for the action. The delegation held thorough discussion on the action plan, and reached the agreement to strengthen cooperation in the Winter Olympic Games. The XXIV Winter Olympic and Paralympic Games will be co-hosted in Beijing and Zhangjiakou. It will be the first time that China hosts the Winter Olympic Games. 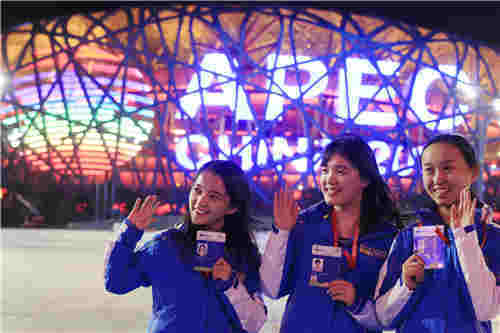 After that, Beijing will become the first hosting city for both Summer and Winter Olympic Games in the history worldwide.